The Danish government plans to force minorities out of what it classes as “ghettos”, but its Denmark’s mainstream that needs to escape its ghetto mentality. While America separates migrant children from their parents at the border, including toddlers who have to appear in court alone, Denmark has passed legislation that will require children from the age of one living in areas defined as “ghettos” by the state to be separated from their families for at least 25 hours a week, not including nap times. This new policy carries echoes of, and is a small but significant step towards, the discredited and inhumane practices of tearing indigenous children away from their families, such as occurred with Australia’s “lost generations” of Aboriginals or Canada’s so-called Scoop generations. Although the children involved are not indigenous, Denmark’s new “ghetto” policies follow similar assimilationist logic. The toddlers and children attending obligatory daycare will receive mandatory instruction in “Danish values,” which reportedly includes not only democracy but also the traditions of Christmas and Easter, and the Danish language – though how on Earth they plan to combine that with pot training, or how they expect Danish minority toddlers to grasp the democratic norms which have eluded many American adults, has not yet been made clear. This is part of a package of measures passed by Danish legislators at the end of May, which itself is part of a broader strategy to eradicate “parallel societies” by 2030. “We must introduce a new target to end ghettos completely. In some places, by breaking up concrete and pulling down buildings,” centre-right prime minister Lars Løkke Rasmussen said in his New Year’s speech unveiling the government’s intentions. Although Rasmussen insisted that his government’s aim was to “recreate mixed neighbourhoods” and to “break the chain in which generation after generation lives in a parallel society”, many of Denmark’s minorities, especially Muslims, see this as a manifestation of the longstanding racism and discrimination that has plagued Danish society, which some had allowed themselves to hope that society was in the process of gradually shedding. This impression is bolstered by how quite a few politicians insist the ghetto laws are not racist or racially motivated, while employing dog-whistles so piercingly high-pitched that they have deafened Denmark’s canine population. This massive internalising of bigotry may explain why nobody in the government appears to have even blinked at officially calling poor, minority-heavy neighbourhoods “ghettoes”, as though ignorant of or indifferent to the painful history of centuries of Jewish exclusion and persecution, which culminated in the Holocaust. For AlKhawaja, the greatest disappointment has been how the Social Democrats “have become more and more right-wing on migration and refugee issues, and in some cases one can no longer tell the difference between them and the right-wing Islamophobes”. Whether out of expediency or conviction, the Social Democrats, despite being in opposition, voted for the “ghetto package”. It is possible that the Social Democrats are not (just) being electorally cynical but actually believe, in the tradition of Nordic “social engineering”, that tackling the ghettoes offers poor migrants and minorities an exit permit out of exclusion. If so, this is misguided. Marginalised minority neighbourhoods are not the problem. They are a manifestation of myriad other problems. The reasons migrants concentrate in certain areas is not generally because they want to live in these neighbourhoods, but because they have little to no other choice, and cannot afford to live elsewhere. Even if minorities voluntarily lived in proximity with one another. That, in principle, should not be a problem. In fact, Europeans and Westerners have just such a tendency to live in “ghettos” when abroad, so as to be able to support one another and lead a lifestyle according to their own values, not that of the local society. In Denmark and other parts of Europe, many immigrants do not need an invitation, let alone an ultimatum from the state to move out of the “ghettoes”. Those who become more prosperous and successful tend to move out of their own volition. But this has the downside of leaving behind society’s rejects and providing youth in these neighbourhoods with few recognisable role models for success. Same goes for crime, which is generally very low in Denmark. In fact, crime has reached record lows in recent years, which you might not realise with all the populist scaremongering going on. If I were to employ the logic of bigots, I would attribute this fall in crime to immigration, as many migrants who move to Denmark come from low-crime societies, and growing diversity, which breeds a culture of acceptance and tolerance. But I would never dream of making such a spurious, agenda-driven, fact-free assertion. Crime is a complex and attributable to numerous factors. In reality, the reasons why there there are higher levels of certain types of crime in minority neighbourhoods – such as petty theft – have little to do with the concentration of migrants or Muslims and almost everything to do with the concentration of poverty, the intensity of socio-economic exclusion, and the paucity of prospects, and how what constitutes “crime” is defined. This is visible in, for instance, how the traditionally poverty-stricken East End of London has been associated with crime for centuries, regardless of whether it was inhabited by Anglicans, Catholics, black Africans, Chinese, Eastern Europeans, or Bengalis. In fact, the kind of moralising and condescension expressed about the allegedly unwashed, lazy and criminal poor in the 19th century has been repurposed for poor migrants. Forcing minorities out of deprived neighbourhoods will not, in and of itself, lead to less crime, if their deprivation and exclusion moves with them, and if mainstream Danes do not overcome their own self-imposed ghetto mentality of building cultural walls between them and the supposed strangers in their midsts. 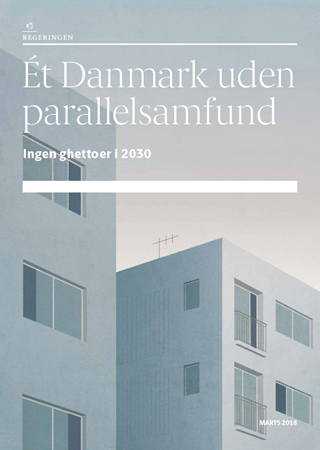 The Danish government’s plan tacitly recognises this economic dimension with the bonuses it offers municipalities which offer employment to non-Western minorities. But this is far, far too little to make a realistic dent. Far easier is to play the identity card, to suggest that it is because immigrants have failed to embrace “Danish values” that is the problem, not because society has undervalued them and they are excess to requirements in the contemporary model of predatory capitalism which causes the prosperity worked for by the many to trickle up to the very, very few. And what exactly are Danish values, or European values, or Western values? If we assume them to mean a commitment to and belief in democracy, freedom of belief and expression, gender and other forms of equality, as well as respect for human rights, including sexual orientation, what do we do about the native Danes who are of an authoritarian or fascistic persuasion, or who are misogynistic and/or homophobic? Should they also be sent to re-education classes? Of course not, that is not what a free society is about. A free society is about giving citizens full freedom to decide for themselves, as long as their decisions do not directly hurt other citizens. 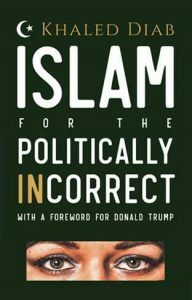 Besides, the suppression of liberal and progressive values occurred in Denmark and Europe long before the advent of mass non-European migration. For instance, many locals fear Muslim attitudes towards alcohol, yet conveniently forget that, long before the spectre of illusionary “creeping Sharia” arrived on Denmark’s shores, the autonomous Faroe Islands had an alcohol prohibition for most of the 20th century, and nearby Iceland banned beer. Then, there is the problem with the slippery slope. What may seem a small or lesser evil today often spirals out of control to become a consuming evil. If you think this is just progressive or liberal alarmism, consider the fact that a proposal is in the pipeline to double the punishment for certain crimes (chillingly, to be left to the discretion of the police) in “ghetto” areas, effectively eliminating one of the founding and fundamental principles of the modern justice system, equality before the law. “I always argued that, despite all the things that I disliked about Denmark, at least the system is, to a large extent, just. I fear that is no longer the case,” confesses Maryam AlKhawaja. And if Denmark sets a precedent of de facto legal segregation in Europe, who is to say where it will stop. If equality before the law is undermined through unequal punishment, what’s to stop legislation being passed formalising unequal rewards, legislating that minorities should be paid less for equal work? Moreover, the slippery slope can often consume those who were cheerleading the descend to fascism because a system built on fear and identity politics cannot survive without creating new enemies of the state and of the people, because the beast of exclusion possesses a voracious appetite. This article was first published by The New Arab on 4 July 2018.